This table provides roles and responsibilities in relation to specific standards. Ensures that all assigned RIT-owned or leased desktop and portable computers that connect to the Institute network meet the minimum standards set forth above. Ensures that all personally-owned portable media that may contain Private or Confidential information meet the minimum standards and follows the Information Access and Protection Standard. In order to enhance compliance with the Standards, end users may engage support personnel such as systems administrators. The burden for compliance with each standard falls on each end user. Report loss or compromise of portable media containing Private or Confidential information in accordance with the Computer Incident Handling Process standard. End users who have administrator rights or the ability to share systems are defined as systems administrators. End users are responsible for reporting security incidents. 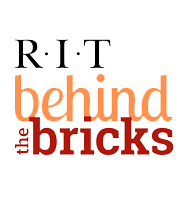 End users whose failure to comply with relevant RIT Security Standards results in a security incident are subject to the sanctions provided in RIT’s Code of Conduct for Computer and Network Use. Ensures that all newly-supported Network Devices are configured to support the minimum standard. Ensure that all academic/business processes/functions are identified and that each critical process/function is classified appropriately with an RTO and RPO (as applicable). is provided to the Business Continuity Office for entry into the academic/business continuity system. Those who are members of an organization that supports enterprise, division, or department level IT services. System administrators within their area of responsibility facilitate end-user privilege management and implement operating procedures to conform to campus information security standards and guidelines. Ensures that all existing RIT-owned supported portable media that may contain Private or Confidential information are configured to support the minimum standards set forth above, or that an alternate plan for risk management is provided to their Information Trustee. provide technical support for the information’s integrity, business continuity, and electronic data retirement or destruction.